Arlington World Languages: Happy Holidays from the World Language Department! Happy Holidays from the World Language Department! 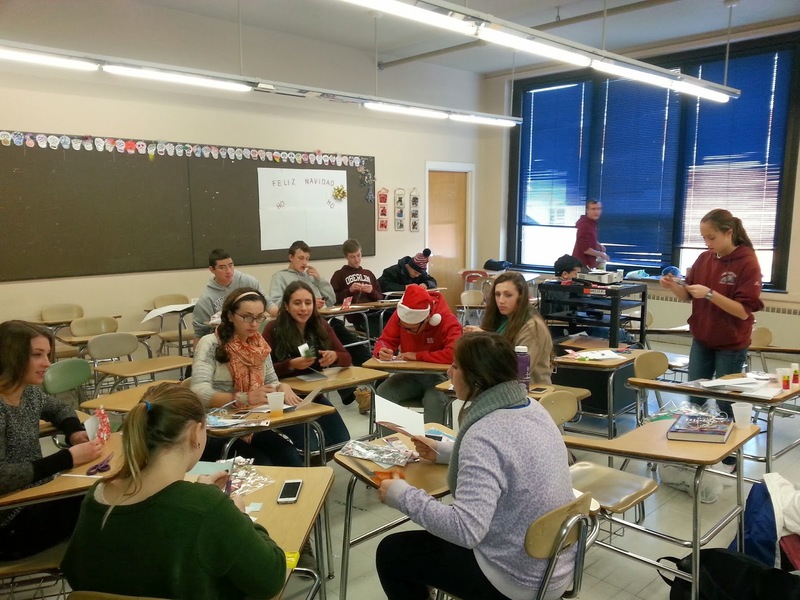 To celebrate the holiday season, students in the World Language department got a treat of festive activities from around the world! Ms. Alderuccio led French caroling, with students going around to different parts of the school singing French Christmas carols. In Ms. Lahey's French classes, students also sung Christmas carols and made chocolate truffles, which they tasted to vote on the best recipe. In Mr. Smith's Latin class, students put on togas for a group photo. Students in Ms. Toro's Spanish Club made traditional food and decorated the classroom for the holidays. From the World Language department, we wish everyone Bonnes Fêtes! Joyeux Noël! ¡Feliz Navidad! ¡Felices Fiestas! Buon Natale! Feriae felices! shèng dàn kuài lè! and 圣诞快乐! Mr. Smith demonstrating the correct way to put on a toga. Toga time in Latin class! 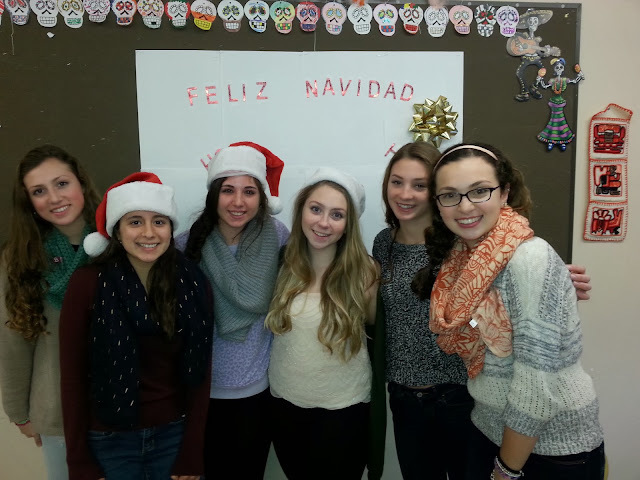 The Spanish Club decorated Ms. Toro's room for the holidays! The Spanish Club making decorations. Students singing French carols in the WL hallway.